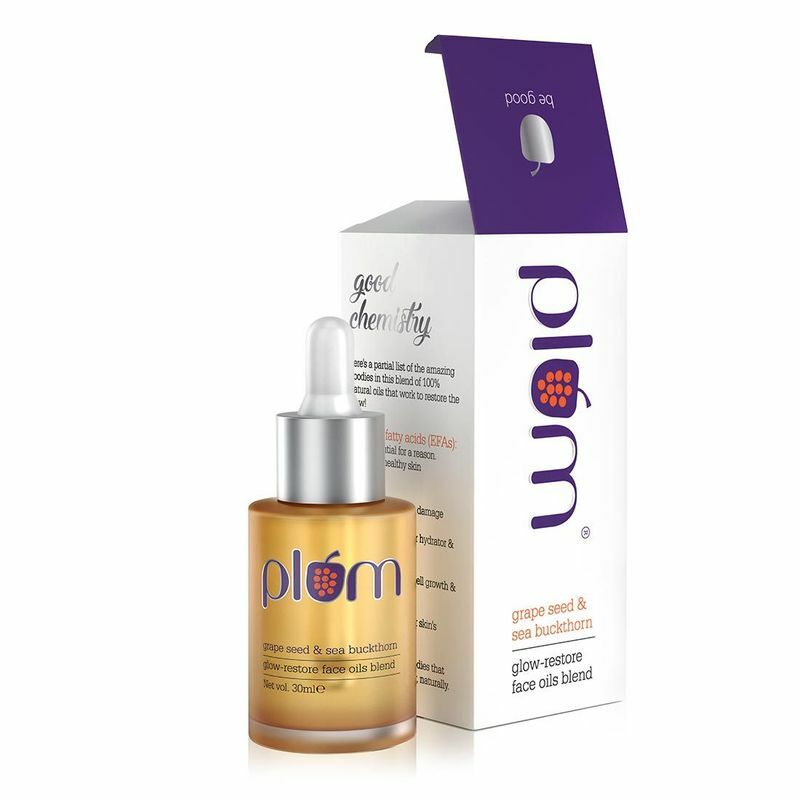 Plum Grape Seed & Sea Buckthorn Glow-Restore Face Oils Blend is unique combination of 100% plant-derived oils that combats skin dryness, and restores natural health and glow to skin. Without the greasiness one would expect from an "oil". It gets to work instantly, restoring your natural glow by replenishing lost nutrients, fighting oxidative damage, and preventing Trans-Epidermal Water Loss (TEWL) from your skin. They've carefully chosen these ten oils for the richness of their natural chemistry - here's what's inside! Wonderfully non-greasy texture that doesn't feel like an oil at all! Additional Information: Plum is inspired by the goodness in nature, and driven by the desire to be good and do good. Designed in a London studio, Plum products are always 100% vegan and cruelty-free. No parabens, phthalates or other doubtfuls - in any product. Marrying science and product expertise with innate love for nature, welcome to plum. Take in the goodness! Explore the entire range of Face Oils available on Nykaa. Shop more Plum products here.You can browse through the complete world of Plum Face Oils .